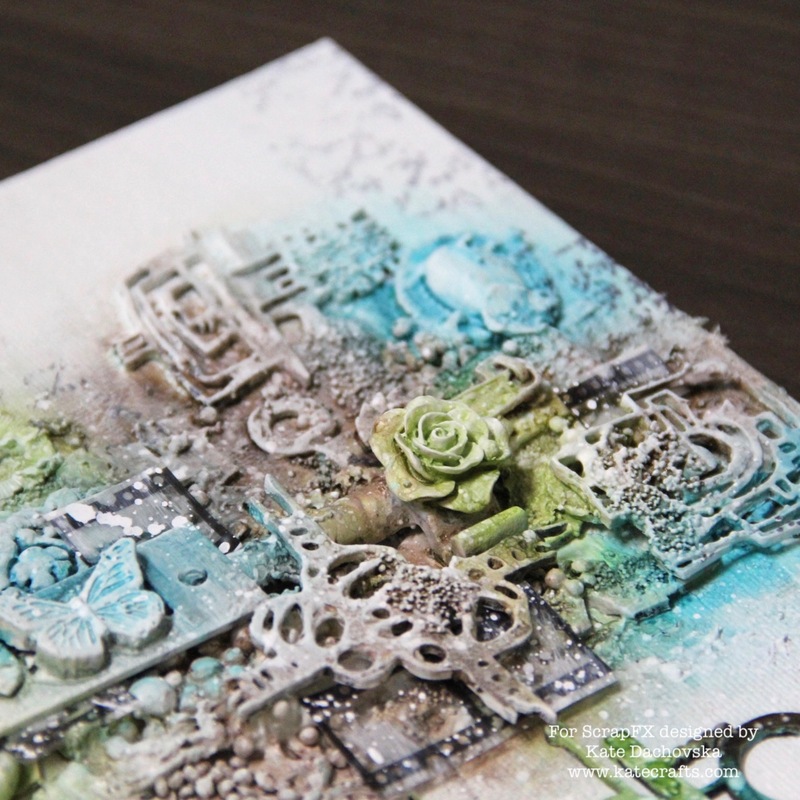 today I would like to share with you 2 projects. 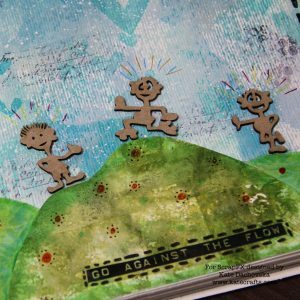 Funny mixed media art journal and elegant canvas. 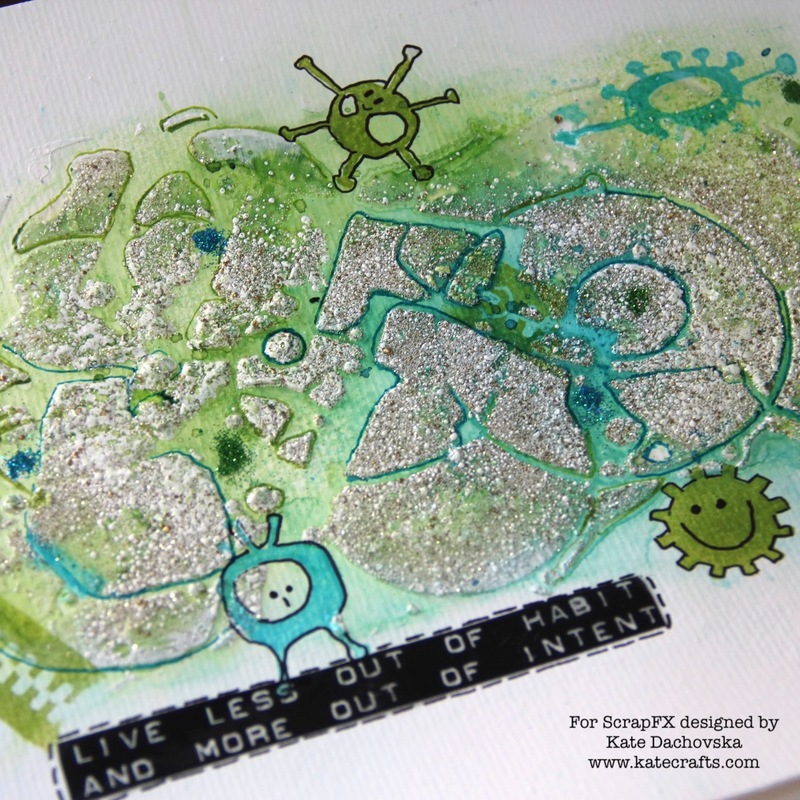 For art journal I used my XL mixed media canson block, I played with acrylic inks and I used my Gelli plate prints which I found in my stash. 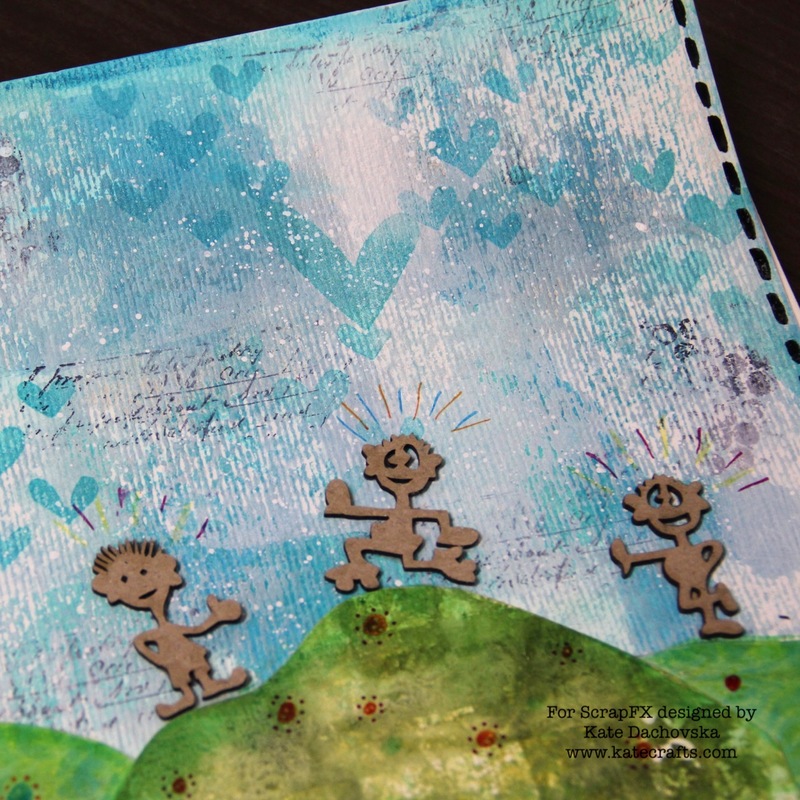 I wanted to make fun scenery of people on hills. They are super funny and sentiment is great to them. 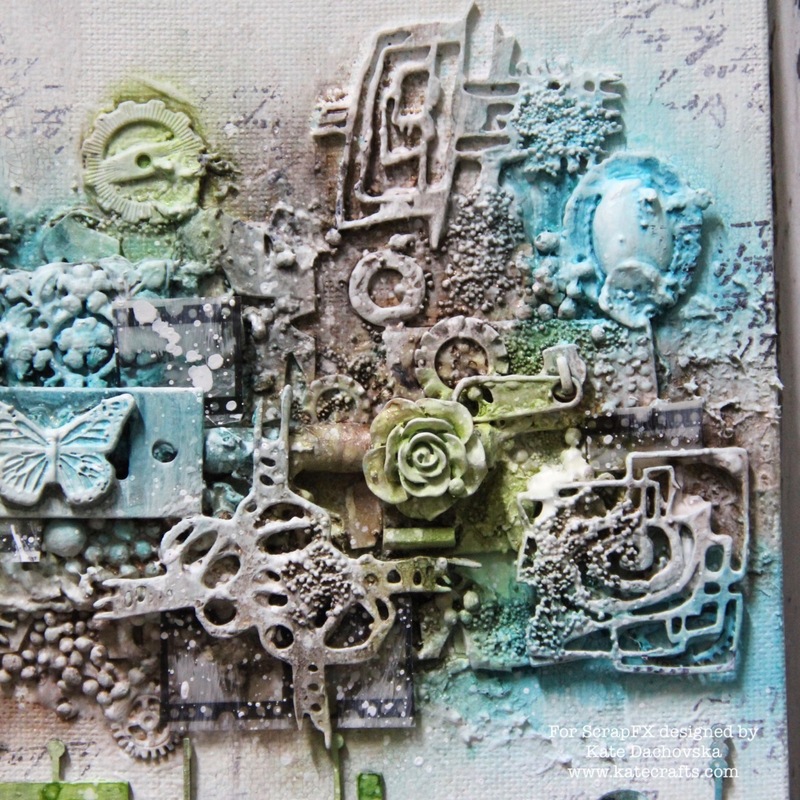 Canvas is mixture of things which I found in my stash and chipboards. I had really fun during creating it. 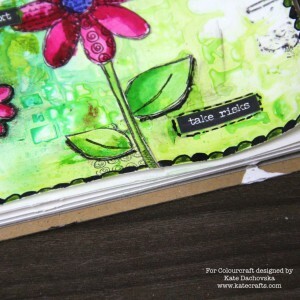 Supply list is under photos. 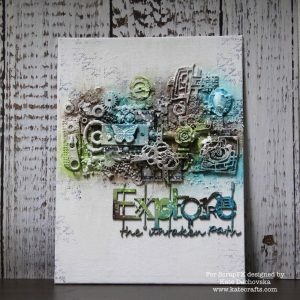 This entry was posted in Scrap FX and tagged art journal, canvas, mixed media, Scrap FX. 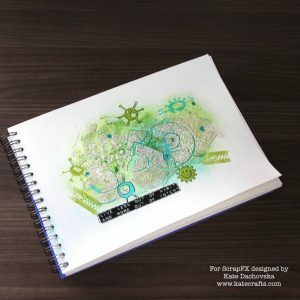 I would like to share with you my quite funny art journal. 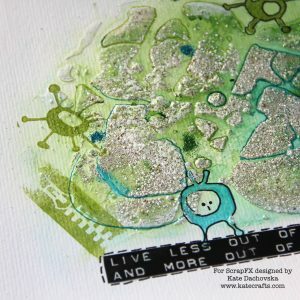 I work on my new CANSON XL mixed media block. It has got awesome heavy weight pages with light structure which you can see on detailed photos. 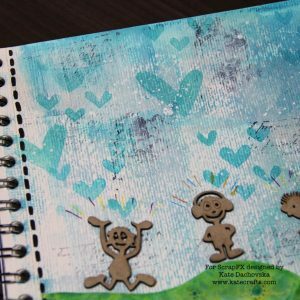 It is not complicated multi layered art journal but it is playful. 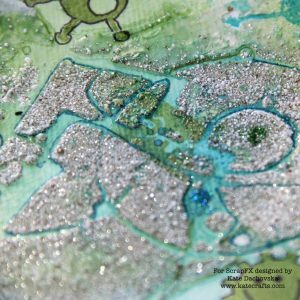 The first layer is white gesso, than I applied through stencil modeling paste and when paste was still wet I added Stampendous enamel embossing powder and little bit of glass beads. I heat set it. 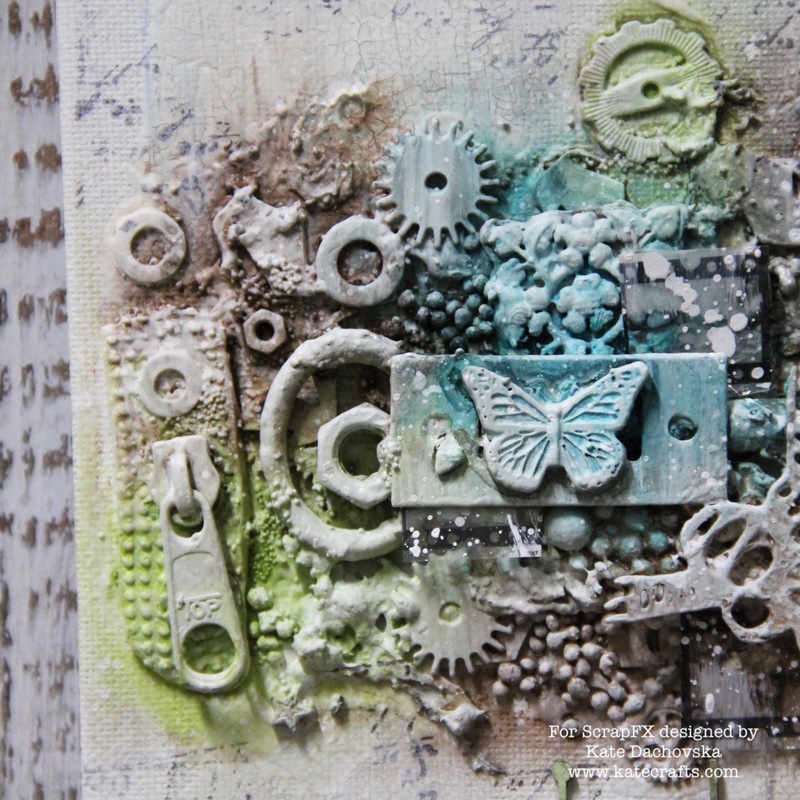 Than I played with Tattered Angels Glimmers mists. 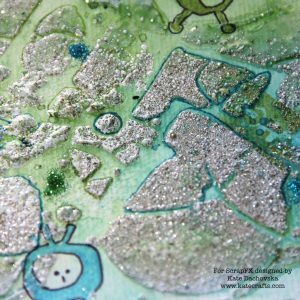 Than I stamped with Archival ink, I add some glitters and I played with Derwent graphik pens, which are acrylic base pens, great for art journaling. 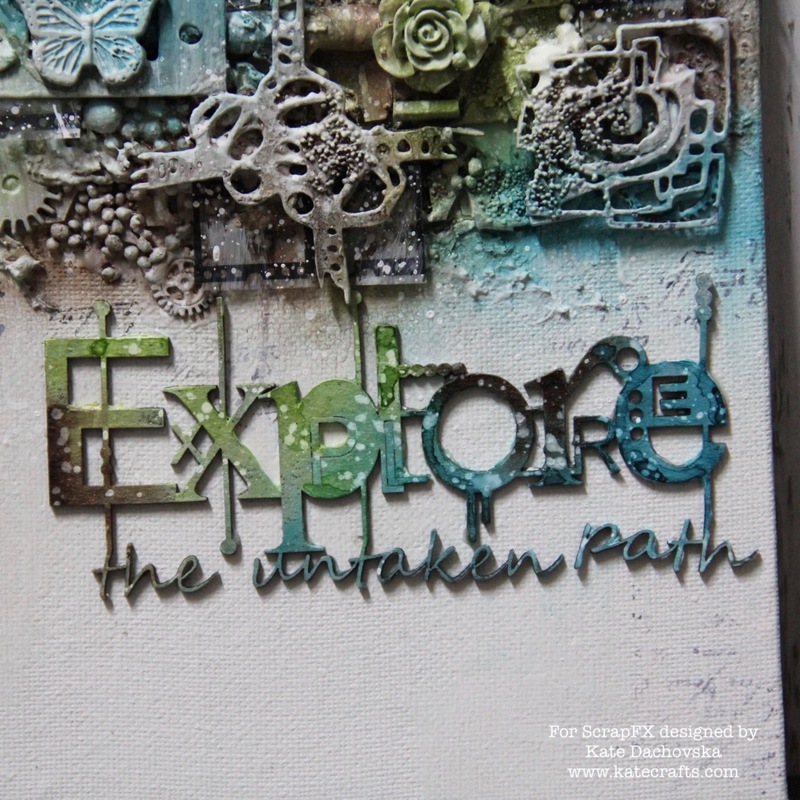 And here it is my sparkling art journal. 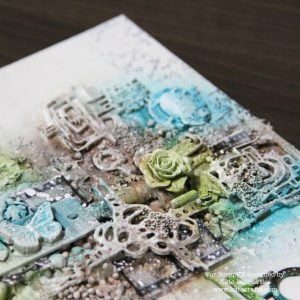 List of supplies is under photos. 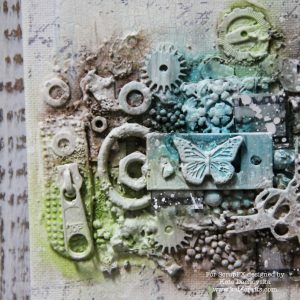 This entry was posted in Scrap FX and tagged art journal, mixed media, Scrap FX. welcome to my blog. 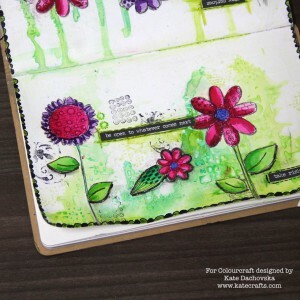 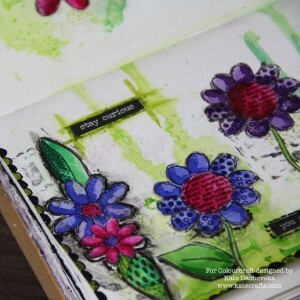 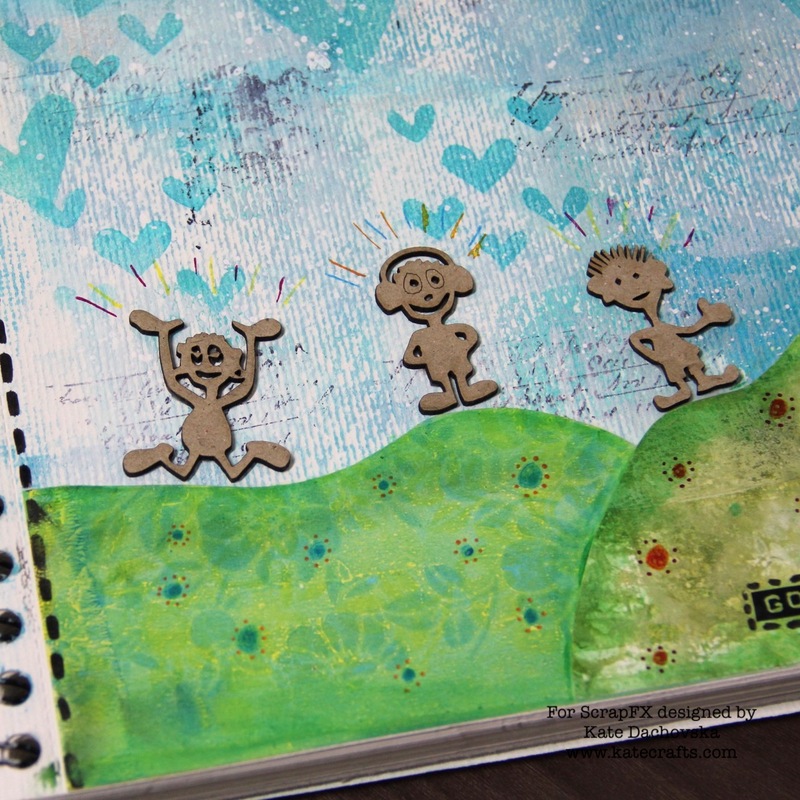 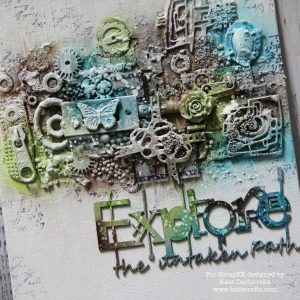 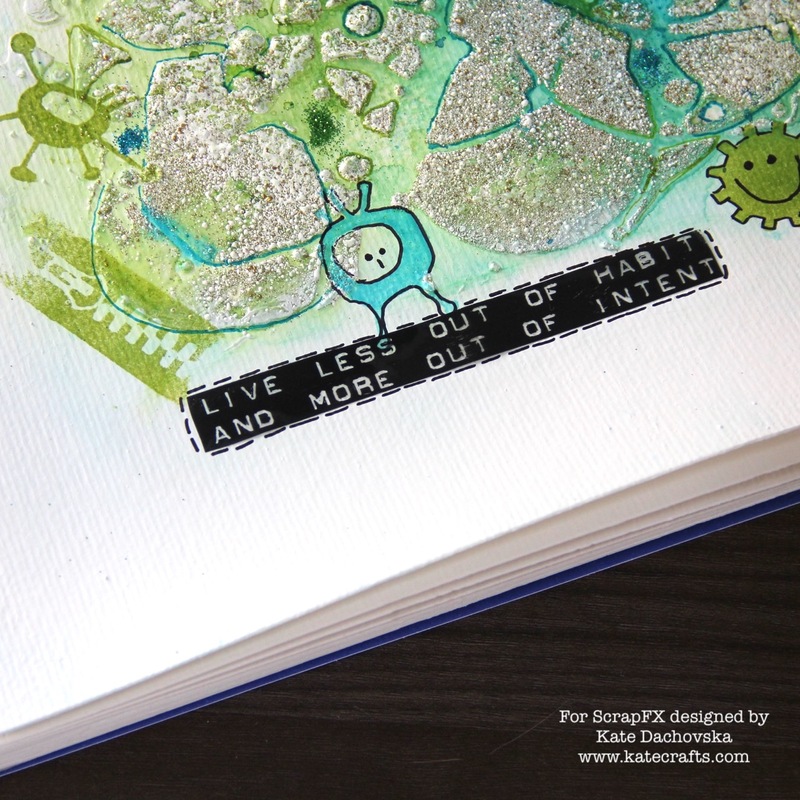 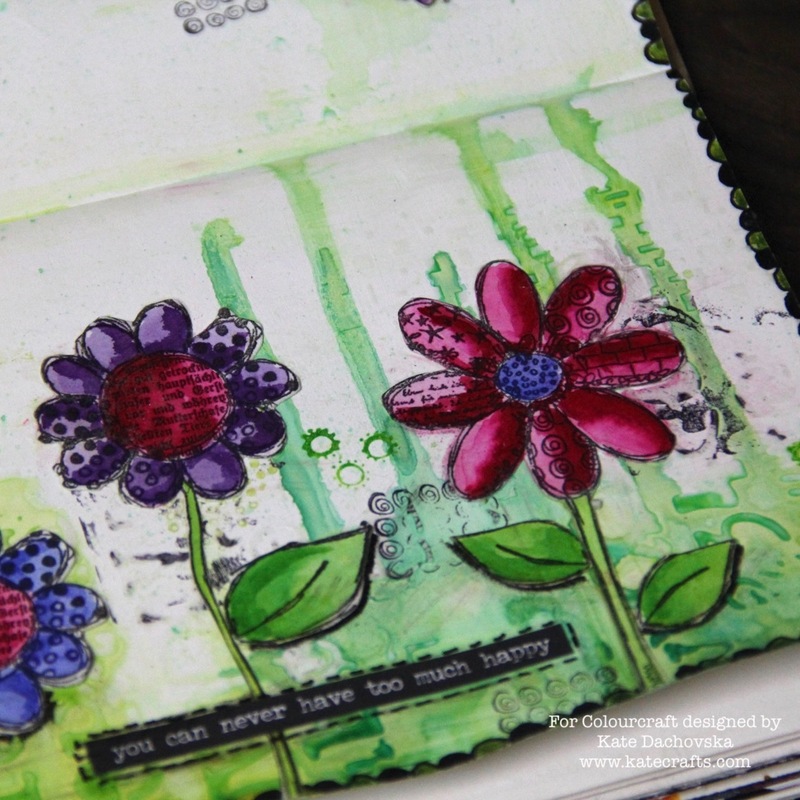 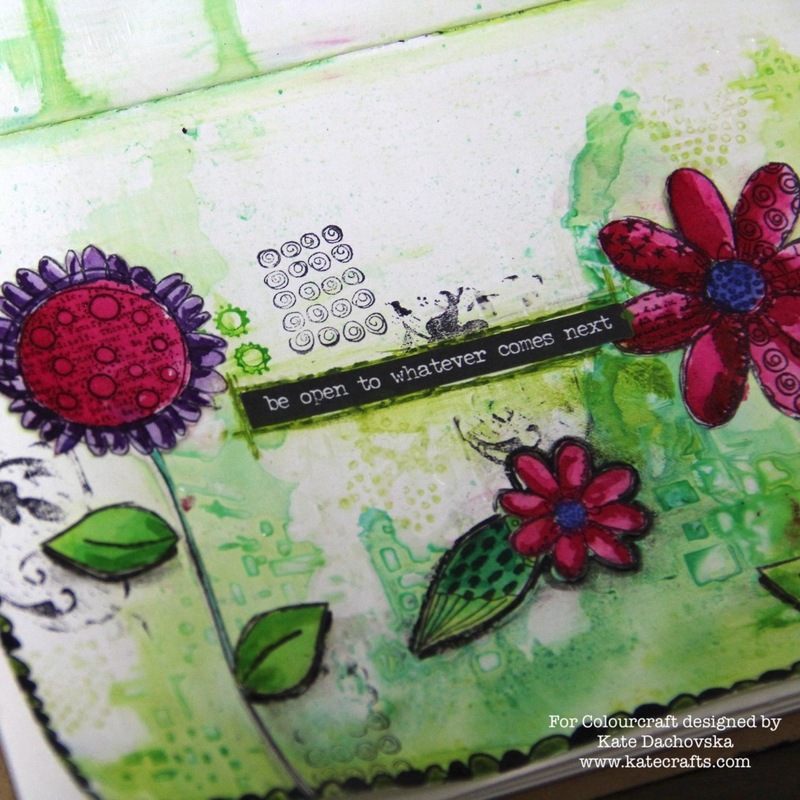 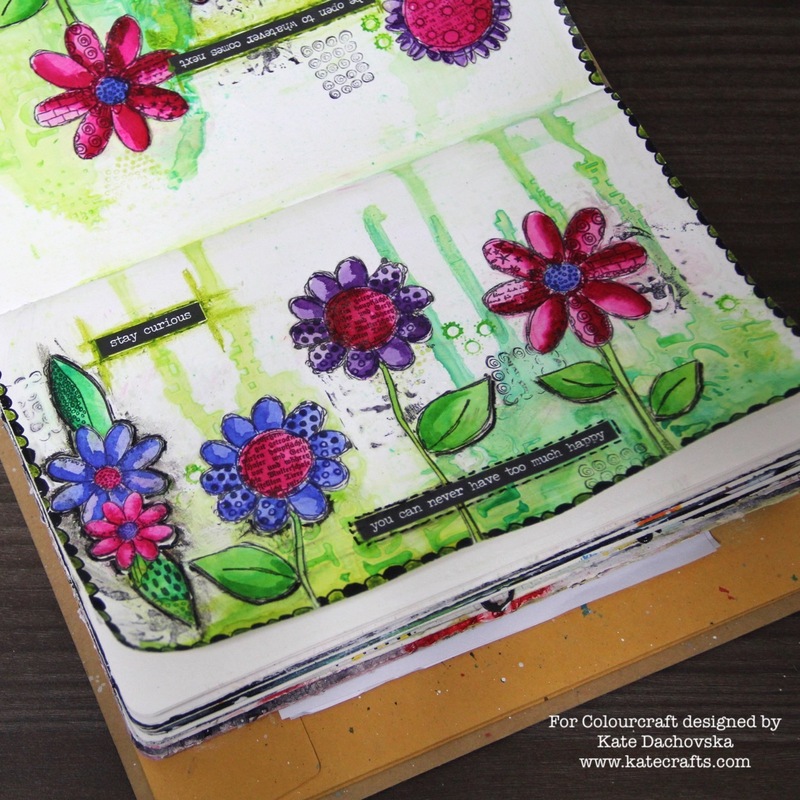 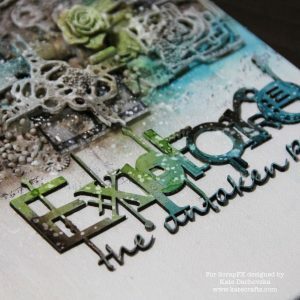 I would like to share with you art journal which I created for todays blog hop. 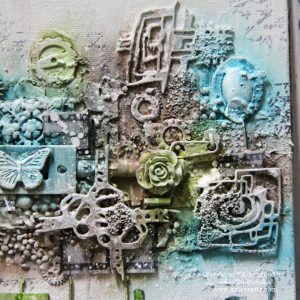 My first step was to prepare background with white gesso, than I applied structure paste through 2 kinds of stencil. 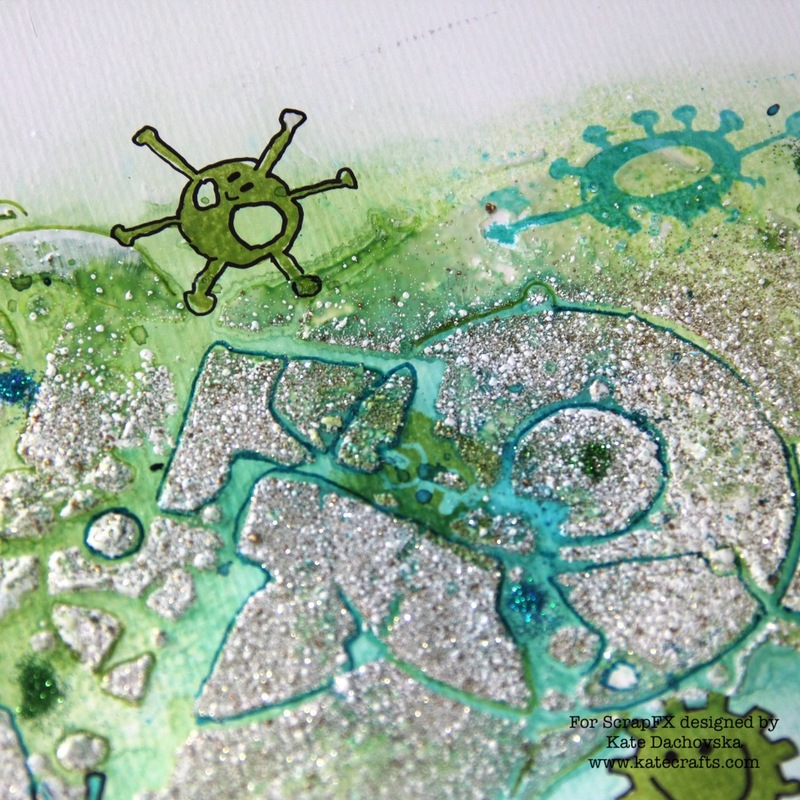 Than I took Brushos and Brusho sprays – green colours and I coloured background. 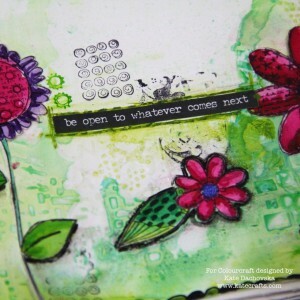 Than I made some stamping (I used Vintage Flourishes stamp) . 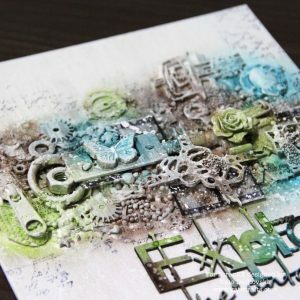 For my focal point I choosed awesome stamps – Textured flowers – I stamped images with Archival ink, coloured them with Brushos and fussy cut them. Than I glued them on my art journal. I made some shadows around flowers and border around whole art yournal – I used Derwent acrylic pens. 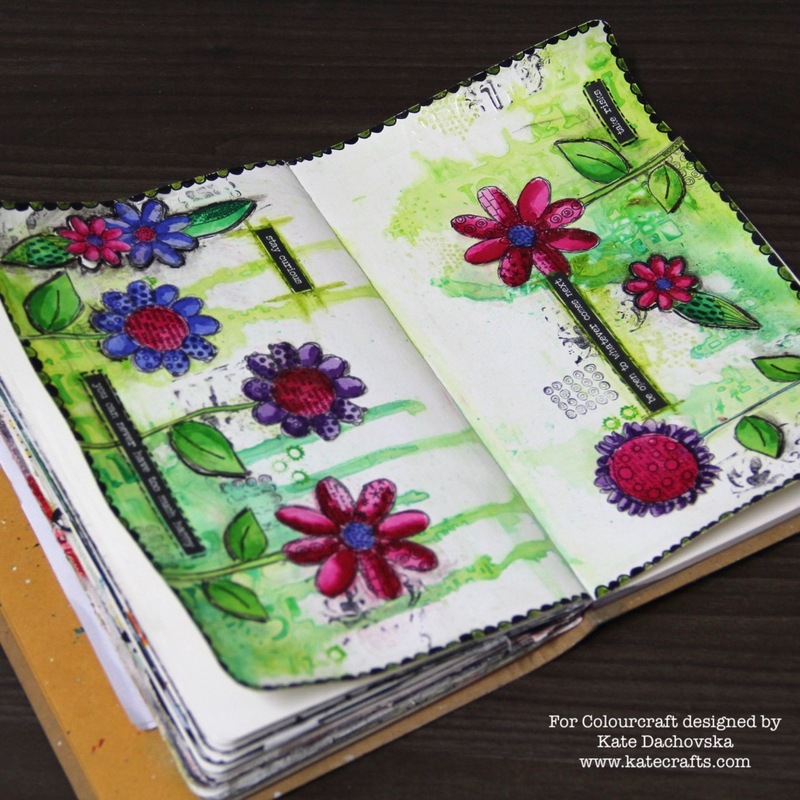 I really enjoyed creating this journal and I hope you will like it. 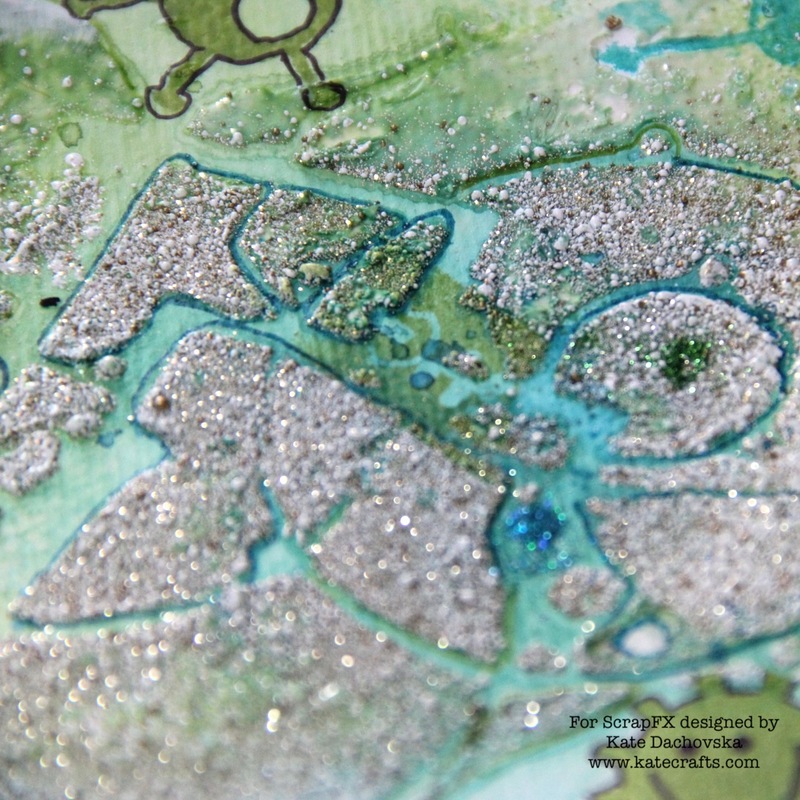 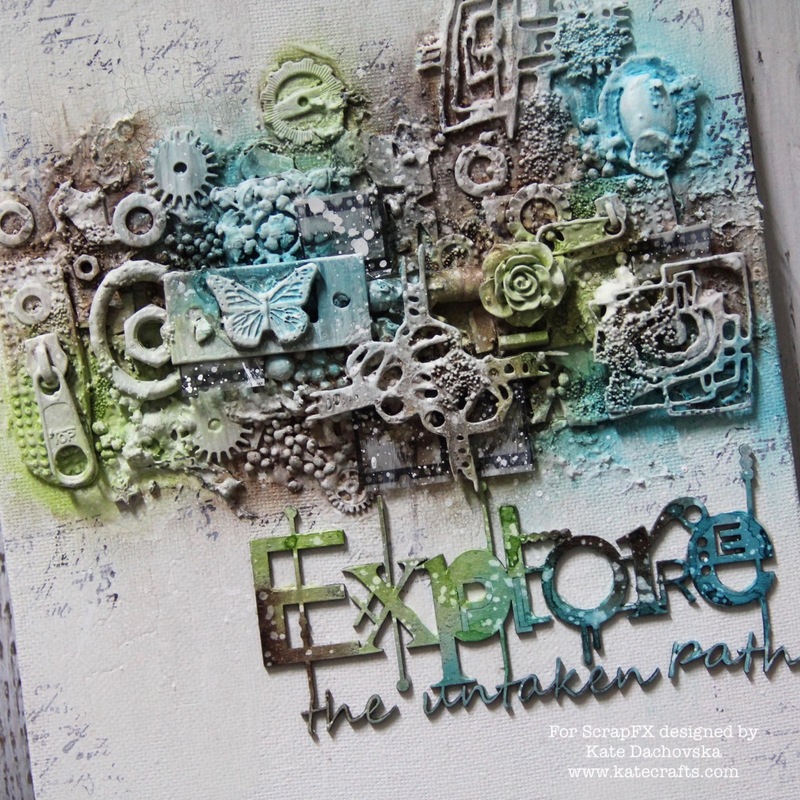 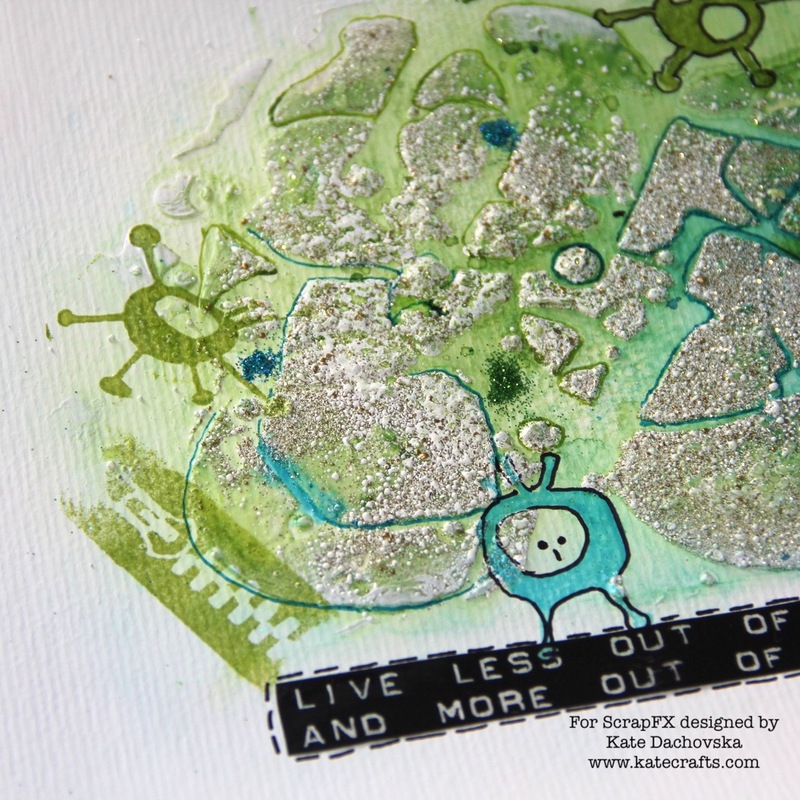 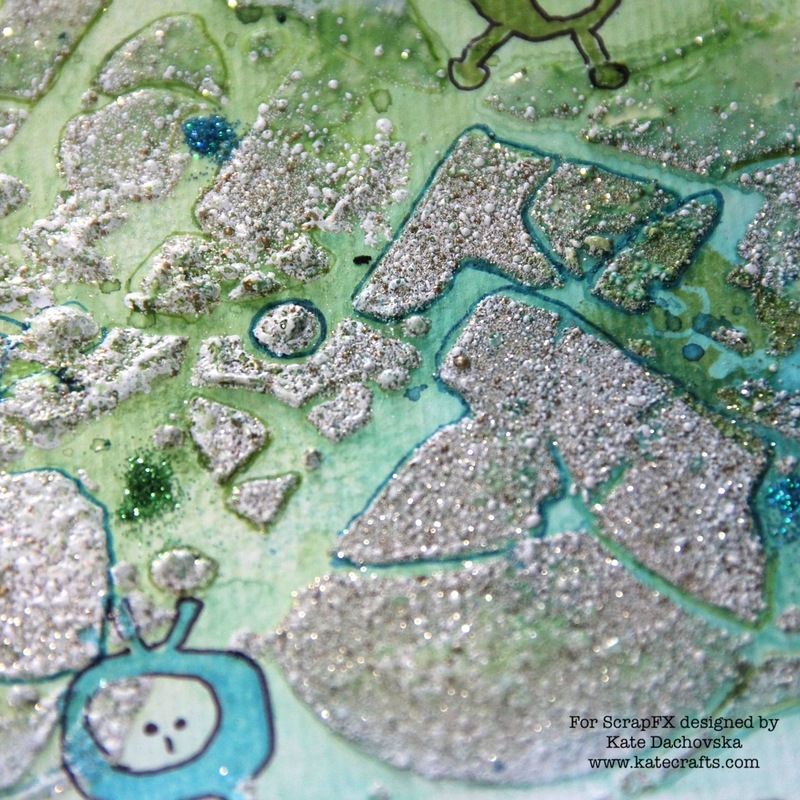 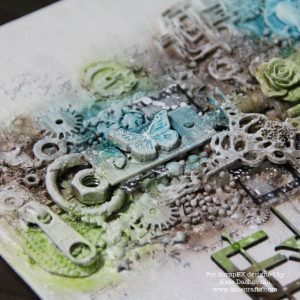 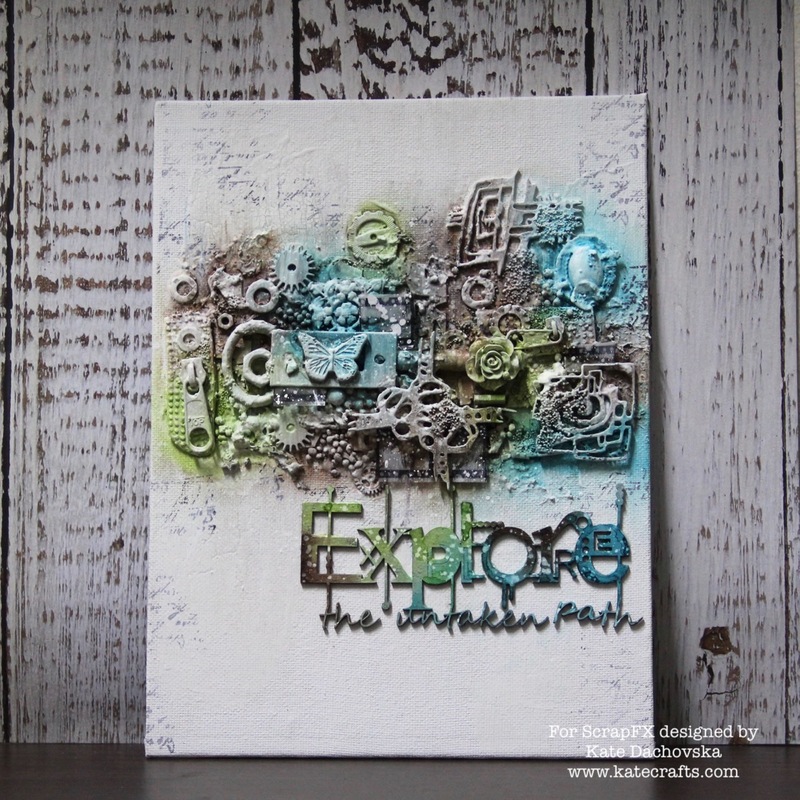 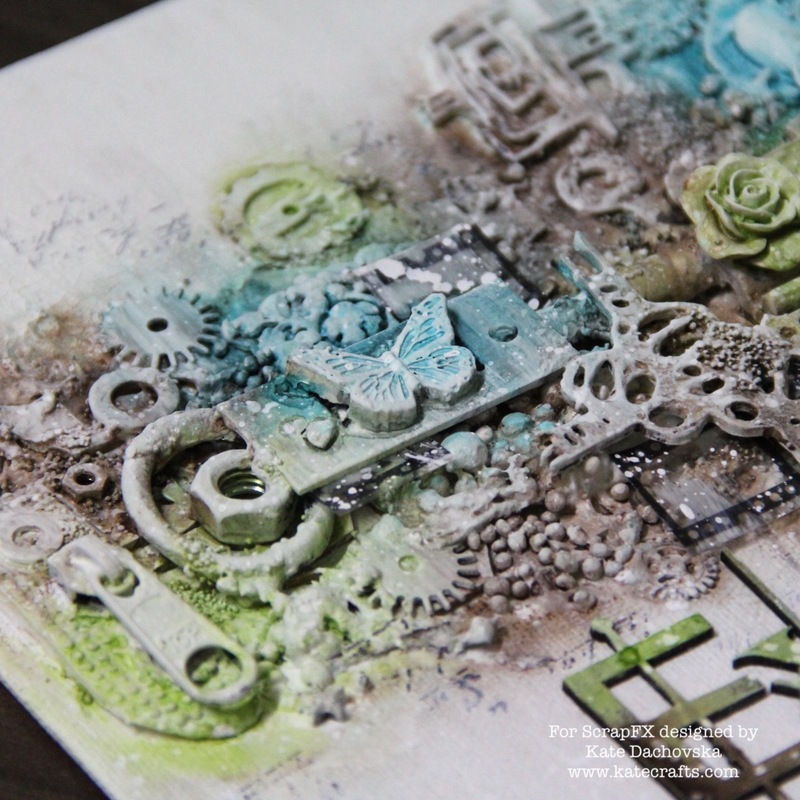 This entry was posted in Colourcraft and tagged art journal, Colourcraft, mixed media.